The I-League match between Real Kashmir and Minerva Punjab which was not held in the aftermath of the Pulwama terror attack in February is unlikey to be replayed despite All India Federation’s decision to do so. Well-placed sources in the AIFF said that the re-match may not happen as the football season is winding up and nearly two months have passed since February 18, the scheduled date of the match. Real Kashmir were to host Minerva Punjab on February 18, four days after the Pulwama terror attack that left more than 40 CRPF soldiers dead. Minerva did not turn up for the match in Srinagar fearing for the safety of their players, even as Real Kashmir expressed disappointment over the visitors’ refusal to play. After a referral from the I-League Committee, the Emergency Committee of the AIFF on March 5 ruled that a re-match will be held at a venue and date to be decided later. 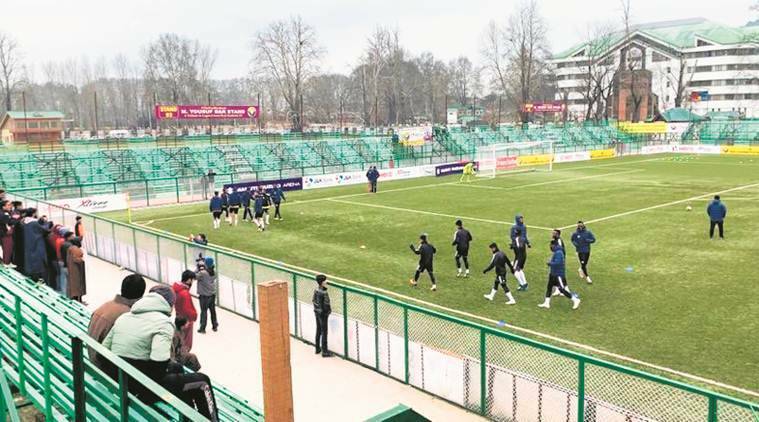 “It is nearly two months from the date of the match to be held in Srinagar and the season is also winding up (with Super Cup final on April 13). So, I don’t think the re-match will happen,” the source told PTI. Real Kashmir co-owners Sandeep Chattoo and Shamim Meraj said they are “fine” if the AIFF decides to award a point each to the two teams. “We are fine with whatever they decide. It is fine if they spilt points since it has been a while since it ended. We have always maintained that we were ready to host the game having got all the necessary security clearances from relevant authorities,” they said. A win or lose by either side will not change the position of the two sides in the I-League points table.